Clouds are a fascinating and important part of climate. During the daytime, clouds keep us cooler, especially at high altitudes. At night, clouds keep the earth warmer. Temperatures on a cloudy day into a cloudy night drop less than if the clouds clear out. Clouds are made of condensed water or ice. They form when rising air cools and water vapor clumps together forming droplets. The droplets will remain as part of the cloud until they become too heavy and fall to the ground as rain. If the temperature is cold enough, it falls as snow or hail. The droplets need a solid surface to condense on--dust or other microscopic particles in the air. Clouds appear white because their water droplets scatter all wavelengths of light. (See the animated feature "Light and Colour" on this blog for more information). Storm clouds are gray because they are much thicker than white clouds and they block more light. There are many kinds of clouds--cirrus (curly or fibrous), stratus (flat or layered) and cumulus (puffy and stacked up). After these three groupings are other combinations, using cirro (high clouds), alto (mid-level clouds) and nimbo (low level clouds). There are many combinations of high/low and shapes. Some clouds have more than one shape, resulting in names such as stratocumulus (partially flat and partially fluffy). When you see clouds moving, the wind is pushing them. The clouds can travel great distances at high speeds with enough wind. Clouds produce three basic kinds of precipitation: rain, snow and hail. If the precipitation does not reach the ground, it is called virga. Also, there's the oft used term "snain" for rain mixed with snow (weathermen don't use this usually.) Then there's sleet and freezing rain. Sleet is composed of small ice pellets that hit the ground. Freezing rain is snow that melts on the way down and then freezes on roadways, trees, etc. Sleet is much smaller pellets than hail and has different way of forming. Rain falls if the temperature is above freezing (0 degrees C, 32 degrees F) all the way to the ground. If temperatures are below freezing, snow falls. Sleet occurs when the snow melts on the way down, then refreezes in the air before hitting the ground. Freezing rain (some people call this an "ice storm") can make driving very difficult due to slick roads and it can break trees limbs and power lines if the ice gets thick and heavy enough. This is made worse if wind is involved. The wind stresses the ice-covered lines and trees, causing more damage than the ice alone. Snow is water droplets that freeze into flakes, generally with six sides (not all flakes end up fully formed and some deform on the way to the ground). It is said that no two snow flakes are alike. That may be true because so many droplets of water are involved in the formation of the flakes. It's not something we can really prove, but mathematical calculations seem to back up the idea. Snow falling on the mountains can build up and form or maintain glaciers. Glaciers form when the weight of snow is great enough to create ice under the snow. Mountain snow pack, which is the amount of snow left at the end of winter, is important for people as it is used for drinking water in some countries and for irrigation water. If snow melts too quickly off the mountain, flooding can happen. The same is true for large snow drifts anywhere. If the temperature rises too quickly, the water has no where to go. 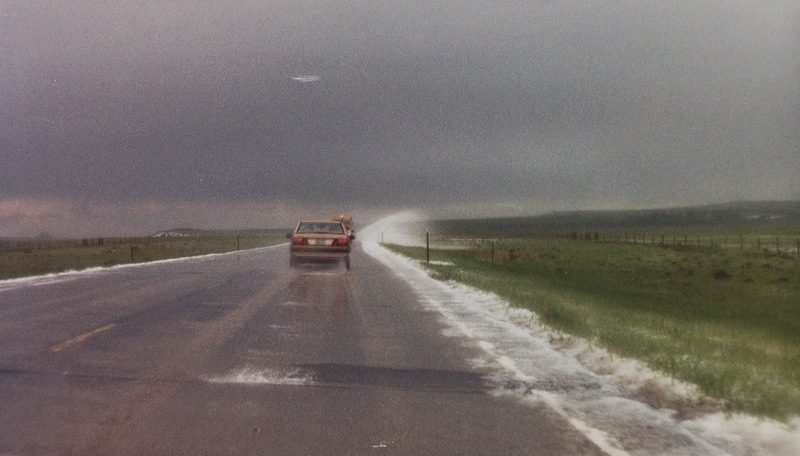 Hail forms when wind pushes snowflakes back up into the clouds. The flake picks up more and more ice and eventually becomes heavy enough to fall to earth. Hail can ranges from BB size to grapefruit size. Small hail can be very hard on paint and some plants. Larger hail is damaging to most things. The size of the hail depends on the speed of the updraft wind (wind pushing upward into the cloud). This is one reason why you see large hail right before tornadoes--the wind speed is high enough. Hail can be very dangerous. If you're outside and hail starts, go inside or hide under something sturdy. The larger the hail, the more the danger. Hail can fall at such a rate a snowplough is needed to clear roads. Fortunately, hail is one of the less common weather events. 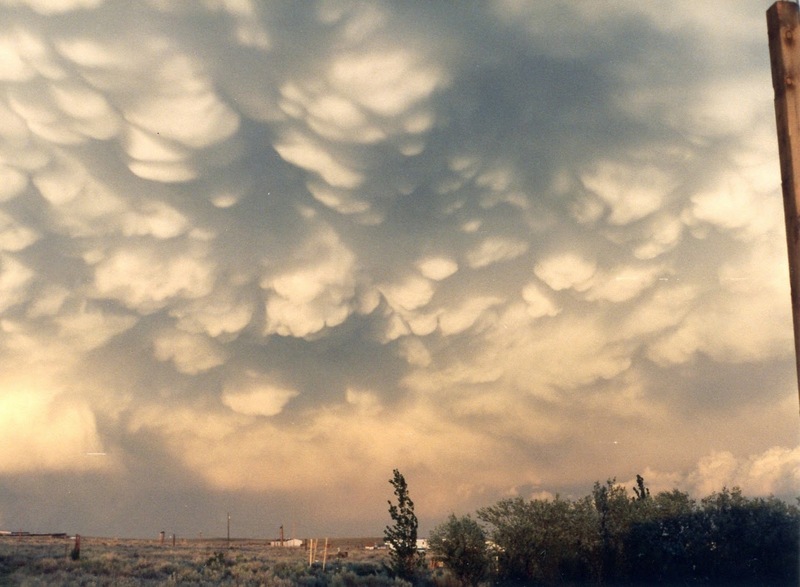 There are some special clouds: mammatus (low hanging bulges), lenticular (disks that resemble flying saucers--these form over mountains) and fog (a cloud on the ground). Next time you notice clouds, take a moment to check them out. 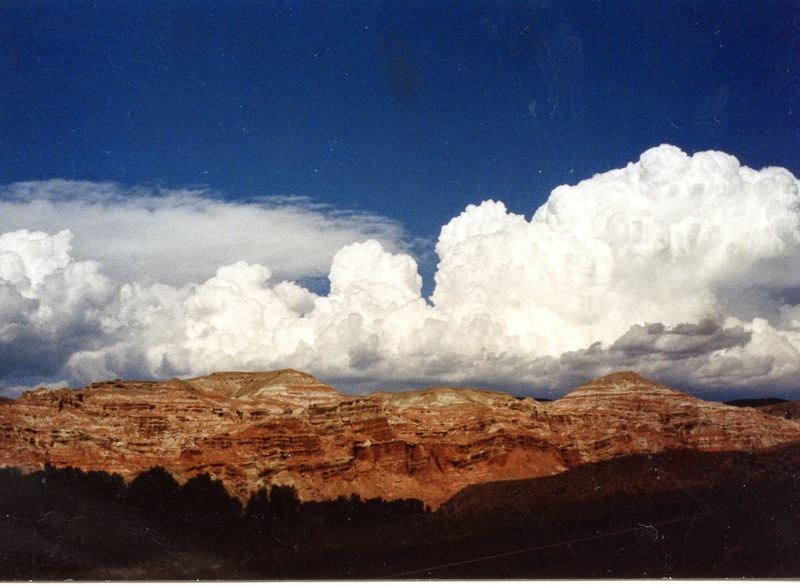 Clouds help level out temperatures on earth and provide rain and snow needed by people and plants. And they are just interesting to watch! So you want to save the planet? What was that about "hottest year"? What do we mean by "climate"?